MUNCIE, Ind. 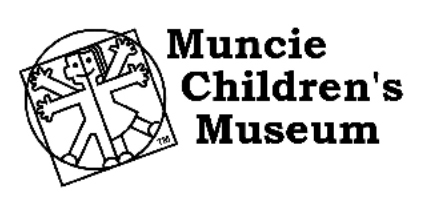 – It’s not too late to join the Muncie Children’s Museum for a summer full of fun and learning! MCM is proud to present Story Book Summer! Dive into a new story book theme complete with crafts, games, and more! Daily activities at 12:00 p.m. and 3:00 p.m.
Week 2 June 14 th -19 th features Mo Willems’ Don’t Let the Pigeon Drive the Bus and The Pigeon Finds a Hot Dog. Play the Feed the Pigeon game, pigeon hide and seek, and create your own pigeon craft. Week 3 June 21 st -26 th features Edwina the Dinosaur Who Didn’t Know She Was Extinct, How Do Dinosaurs Play with Their Friends, and Dinosaur vs. Bedtime. Explore with PaleoJoe on June 25th from 10:30-2:30! PaleoJoe is an award winning paleontologist, author, and storyteller. Week 4 June 28 th -July 3 rd features Click Clack Moo Cows That Type, the Llama Llama books, and Hooray for Amanda and Her Alligator. Have fun with letter matching quilts, make friendship bracelets, and create cow masks. Make sure you come back on July 23rd from 10:30-2:30 when PaleoJoe returns. Join us on July 30 th for our bye bye Blue party and wish him well as he moves to a bigger and better home. Visit with Pete the Cat on July 8 th -10 th and participate in a scavenger hunt, make button bracelets, and create Pete the Cat headbands. Story Book Summer is presented by the Navient Foundation and sponsored by the Muncie Children’s Museum’s Women’s Giving Circle and Midas Auto Experts and Tire Center. 765-286- 1660 ext. 211 or mpaul@munciemuseum.com. located at 515 S. High St. Museum hours are 10 a.m.-5 p.m. Tuesdays-Saturdays and 1-5 p.m. Sundays. Admission is $6 a person ages 1-100.